Learn more about our December release, and download the December 2015 Efficient Advisor. The post How to Implement New Technology and Orion Connect’s Big Update appeared first on Orion Advisor Services. Fixed Income ETFs: A Don’t Buy? One of the newest trends in the densely populated world of ETFs now includes fixed income. 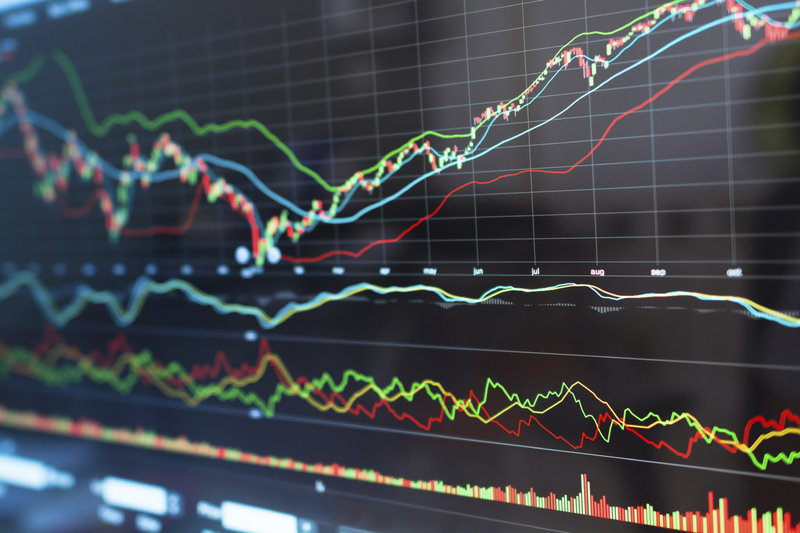 As investors turn to the safety of bonds in anticipation of higher interest rates, fund companies are launching new, and increasingly complex, fixed income ETFs. But as I recently told Barron’s, investors should be aware that bond ETFs, on average, have higher trading costs than typical stock ETFs, and some of the newer bond ETFs have remarkably high bid-ask spreads. Those costs add up and could make a significant dent in returns. 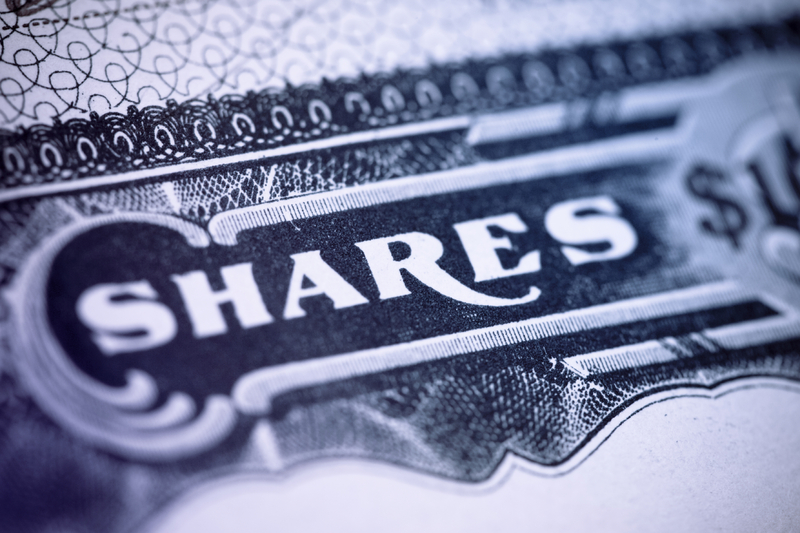 Bond ETFs are growing enormously – investors allocated $12 billion to the sector just last month – and 138 new bond ETFs have launched since 2012, according to Morningstar. However, despite this growth, investors still have far more plentiful options in the stock ETF market. The average stock ETF spread is only a few points lower than bonds, but investors can find stock options with spreads as low as a penny. As I told Barron’s, in this low-interest-rate environment most investors are lucky to have a positive rate of return at all. So when you factor in high bid-ask spreads, the performance they think they had evaporates. But fixed income ETFs have support from respected money managers. Barron’s recently published a discussion with top investment officers, who said they expect low, but positive, returns in fixed income and see opportunity in high-yield municipal bonds that have been underpriced. These experts made a few recommendations, including iShares Short-Term National AMT-Free Muni Bond [SUB] and lower-quality municipal bonds, such as Market Vectors High-Yield Municipal Index ETF [HYD]. While I agree with many of the points made, I would suggest a couple of alternatives. SPDR Nuveen Barclays Short Term Municipal Bond ETF [SHM] could provide better liquidity than SUB, and while HYD has performed well, I would prefer to stay with a higher-quality option, such as iShares National AMT-Free Muni Bond [MUB]. Bonds with maturity dates can adversely impact performance and incur expensive trading costs as they convert to cash; and larger, more liquid funds can offset some of the higher trading costs involved in bond ETFs. When interest rates are this low, I believe any extra cost that cuts into returns is too high. Like we say at CLS, every basis point matters! The views expressed herein are exclusively those of CLS Investments, LLC, and are not meant as investment advice and are subject to change. No part of this report may be reproduced in any manner without the express written permission of CLS Investments, LLC. Information contained herein is derived from sources we believe to be reliable, however, we do not represent that this information is complete or accurate and it should not be relied upon as such. All opinions expressed herein are subject to change without notice. This information is prepared for general information only. It does not have regard to the specific investment objectives, financial situation and the particular needs of any specific person who may receive this report. 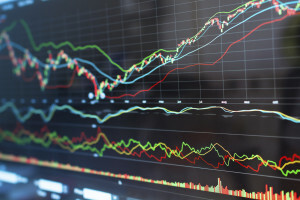 You should seek financial advice regarding the appropriateness of investing in any security or investment strategy discussed or recom­mended in this report and should understand that statements regarding fu­ture prospects may not be realized. You should note that security values may fluctuate and that each security’s price or value may rise or fall. Accordingly, investors may receive back less than originally invested. Past performance is not a guide to future performance. Investing in any security involves certain systematic risks including, but not limited to, market risk, interest-rate risk, inflation risk, and event risk. These risks are in addition to any unsystematic risks associated with particular investment styles or strategies. While some CLS portfolios may contain one or more of the specific funds mentioned, CLS is not making any comment as to the suitability of these, or any investment product for use in any portfolio. At certain places, we offer direct access or ‘links’ to other Internet websites. These sites contain information that has been created, published, maintained or otherwise posted by institutions or organizations independent of CLS Investments, LLC (CLS). CLS does not endorse, approve, certify or control these websites and does not assume responsibility for the accuracy, completeness or timeliness of the information located there. Visitors to these websites should not use or rely on the information contained therein until consulting with their finance professional. An ETF is a type of investment company whose investment objective is to achieve the same return as a particular index, sector, or basket. To achieve this, an ETF will primarily invest in all of the securities, or a representative sample of the securities, that are included in the selected index, sector, or basket. ETFs are subject to the same risks as an individual stock, as well as additional risks based on the sector the ETF invests in. Fixed Income is an investment style designed to return income on a periodic basis. Generally, fixed income strategies invest in bonds, real estate, loans, and other types of debt instruments. Diversifiable risks associated with fixed income investing include, but are not limited to, opportunity risk, credit risk, reinvestment risk, and call risk. I recently had the opportunity to study at the world’s first recognized collegiate business school – the Wharton School of the University of Pennsylvania. I was there for a week-long program as part of my CIMA certification, where I was able to learn from some of our industry’s best and brightest professors, network with colleagues, and explore the University of Pennsylvania campus. One of the more interesting topics in the curriculum, to me, was behavioral finance theory. This is the study of the intersection of human behavior and financial markets and the biases that exist when people process information. One I frequently encounter when talking to other investors is recency bias – the tendency to believe with certainty that recent events are likely to reoccur. A good example is the 2008 Great Recession, where global equity markets around the world were down more than 50%. Not a great time to be in equities. How would investors with recency bias behave once the markets began to climb? Likely, they stayed away from equities and clung to the safe haven of bonds and Treasuries because they feared that performance would continue no matter what. But did it? How have equities performed since? Global equities have been up over 100% since 2008; that’s over 10% a year. A bad time to be out of equities. Just because broad equities underperform one year, or for several years, does not mean the trend will continue. Although most investors seem to have moved on from 2008 and entered equities again, there are likely still areas they avoid due to lackluster recent performance. Emerging markets are a key culprit. Over the last five years, the emerging markets index has been negative 11.77%, or about 2.5% a year. Not great. Meanwhile, the U.S. market (Russell 3000 Index) has been up more than 14% a year. Investors probably have a bad taste in their mouths if they’ve invested in anything outside the U.S. recently. Those with recency bias probably want to get emerging markets out of their portfolios and are wondering why they were ever there in the first place. To find that answer, we don’t have to go back too far: the 2000s, or the “Lost Decade.” During this decade, the U.S. market lost about 2% in total return, or about 0.20% per year. A decade without any gains in the market! Investors who owned only U.S. stocks were no doubt disillusioned, but investors who held globally diversified portfolios with a portion in emerging markets fared better. Emerging markets were up, over the same time period, more than 160%, or over 10% a year. The point is no one knows where the market is going on any given day; it’s a coin flip. Investing is an exercise in probabilities, not certainties. Given an uncertain future, we must build balanced, globally diversified portfolios of assets that perform differently from one another under different circumstances to grow accounts steadily up to retirement. Avoiding recency bias is difficult; it’s just the way the human brain is wired. But hiring an outside money manager to take emotion out of allocation decisions can help eliminate this behavioral bias and realize your long-term goals. When we ended the week at Wharton, we were tested on several topics, but behavioral finance was emphasized most because this affects each and every investor. It’s important to understand the cause and effect of each bias and work with the end investor to set reasonable expectations, maintain global diversification, and keep emotions in check. In the end, behavioral coaching is the most value added by a financial professional. The views expressed herein are exclusively those of CLS Investments, LLC, and are not meant as investment advice and are subject to change. No part of this report may be reproduced in any manner without the express written permission of CLS Investments, LLC. Information contained herein is derived from sources we believe to be reliable, however, we do not represent that this information is complete or accurate and it should not be relied upon as such. All opinions expressed herein are subject to change without notice. This information is prepared for general information only. It does not have regard to the specific investment objectives, financial situation and the particular needs of any specific person who may receive this report. You should seek financial advice regarding the appropriateness of investing in any security or investment strategy discussed or recommended in this report and should understand that statements regarding future prospects may not be realized. You should note that security values may fluctuate and that each security’s price or value may rise or fall. Accordingly, investors may receive back less than originally invested. Past performance is not a guide to future performance. Investing in any security involves certain systematic risks including, but not limited to, market risk, interest-rate risk, inflation risk, and event risk. These risks are in addition to any unsystematic risks associated with particular investment styles or strategies. Emerging market investing refers to the practice of investing in a developing market of a foreign nation. The pre-requisites of this practice include a market within the foreign nation along with some form of regulatory body. Emerging markets involve greater risk and potential reward than investing in more established markets. Diversifiable risks for emerging markets include, but are not limited to, political risk, currency risk, and liquidity risk. The Russell 3000 Index is an unmanaged index considered representative of the U.S. stock market. The index is composed of the 3,000 largest U.S. stocks. An index is an unmanaged group of stocks considered to be representative of different segments of the stock market in general. You cannot invest directly in an index. Orion's Implementation Manager, TJ Maher, lays out a plan for how you can have a successful technology implementation. The post 5 Ways to Ensure You Have a Successful Technology Implementation appeared first on Orion Advisor Services. Video: What’s in the Cards for Mutual Funds? Video: Andrew Rogers, CEO of The Gemini Companies, sits down with Asset TV to discuss the future role of risk mitigation within the context of the mutual fund industry. He also focuses on the evolution of ETFs and delves into the larger role of hedge funds for investors. Watch today's Orion Weekly to discover Orion's new platform. The post Orion Launches a New Platform appeared first on Orion Advisor Services. Fed Takeaways: December is Alive! We saw two key changes in the Federal Open Market Committee (FOMC)’s October statement. First, the committee removed this earlier mention: “recent global and financial developments may restrain economic activity somewhat and are likely to put further downward pressure on inflation in the near term.” That doesn’t mean a rate hike is certain this year, but as Jon Hilsenrath of the Wall Street Journal notes, it does remove a previously-stressed impediment. As expected, bonds sold off on the news. Stocks originally sold off only to recover sharply as the market came to the realization that good news is good news. The Fed noted the housing sector and household spending have shown solid growth, but net exports are soft, job gains have slowed, and unemployment is steady. Low energy prices were cited as a factor keeping inflation at a manageable pace, but the committee said it expects inflation to rise as the impact of energy prices wears off and the labor market improves. The Fed said future inflation expectations moved “slightly lower” which, as Hilsenrath notes, could mean consumer prices won’t rebound soon. The Fed wants to be “reasonably confident” that inflation will move back to 2 percent before it raises rates. 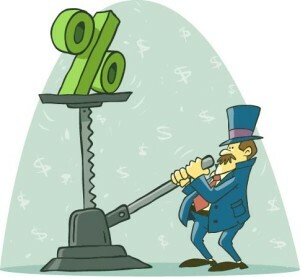 The committee ended its statement on a dovish note saying even after employment and inflation are near desired rates, “economic conditions may, for some time, warrant keeping” rates below normal levels. The Fed’s next meeting, and final for the year, is December 15-16, 2015. User settings allow you to customize your Orion Connect experience and tailor the platform to you. The post Ready, Set, Go: Customize Your Orion Connect Experience with Settings appeared first on Orion Advisor Services. Our last tweet roundup from Schwab IMPACT 2015. The post SCHWAB IMPACT: FINAL TWEET ROUNDUP appeared first on Orion Advisor Services. Tweets from the second day of Schwab IMPACT 2015. The post Schwab IMPACT: Tweet Roundup, Day 2 appeared first on Orion Advisor Services.